For this week’s post, I’ve put together a pixel shader that takes a normal full-color game and renders it like a black-and-white screen with lots of static. This weeks program starts off with the upscaling demo from an earlier post. To apply the black-and-white static effect to the entire screen, I start with the render target scaling version of the program and add a pixel shader to the final sprite batch call used to draw the upscale texture to the screen. 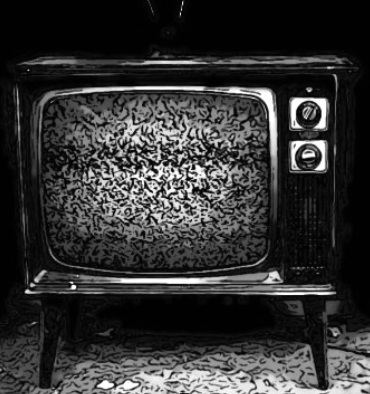 This causes the static to dance across the screen, creating the illusion of bad-reception on top of the black-and-white image. Not bad. Now I just need to make a custom controller shaped like rabbit-ear antennas for adjusting the static.